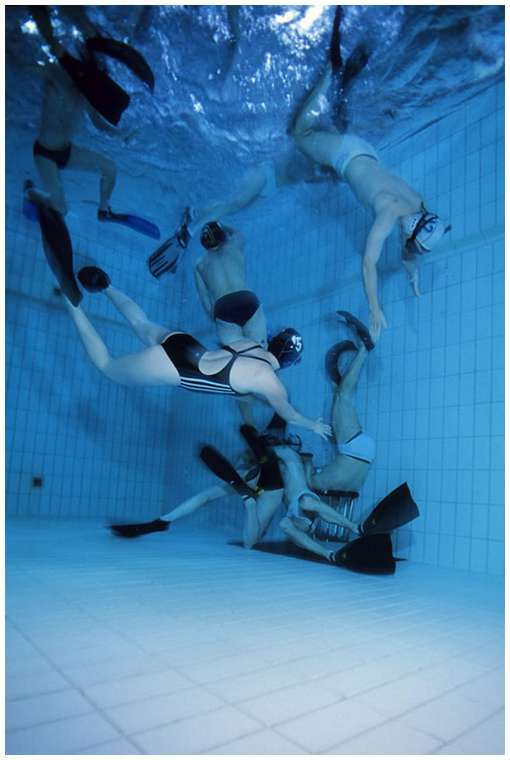 While British divers invented underwaterhockey to spend the winter months their continental nemesis – Germany – found diving at winter temperatures equally unpleasant resulting in the invention of underwater rugby. 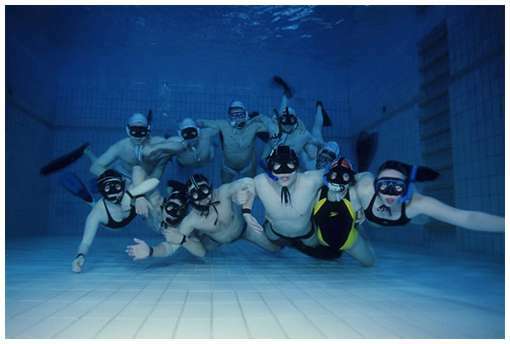 Simply exercising to maintain your physical fitness for only a few months of actual diving a year gets boring eventually, a problem solved creatively by inventing an underwater ball game combining the same physical exercise with team sport. Initially only used as a warm up for the divers’ winter training underwater ruby soon turned into a sport itself where teams of 12 – with only half the team in the field at any time as playing rugby while holding your breath can be quite exhausting – try to get the rugby ball into each others ‘goal’.. where it’s doubtful the actual metal bucket is worthy of the word goal. 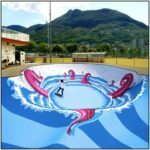 The ball itself is filled with salt water which is slightly heavier than normal water which means the ball will slowly sink to the bottom of the pool instead of floating on the surface. 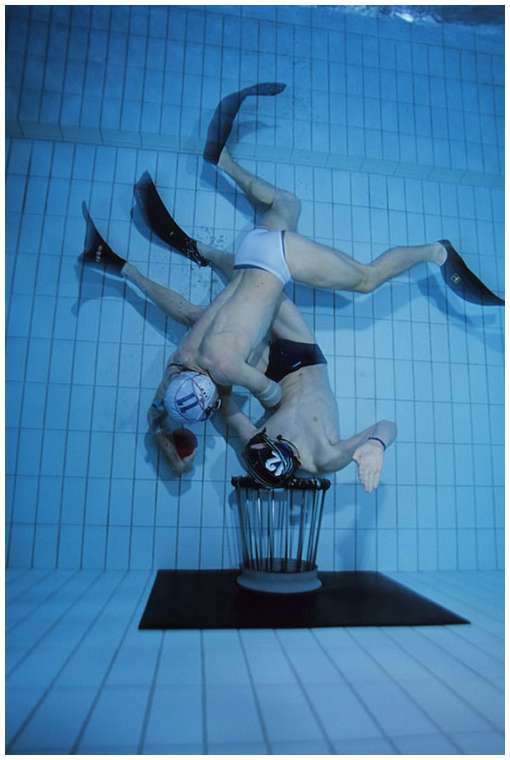 An experienced underwater rugby player is capable of throwing – or thrusting – this ball only several meters because of the drag of the water. 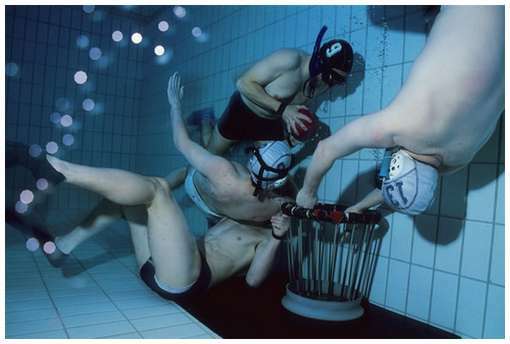 Depths at which underwater rugby is played vary from about 3 to 5 meters depending on the pools used – few pools are constructed with underwater rugby in mind – making oxygen an important game factor. 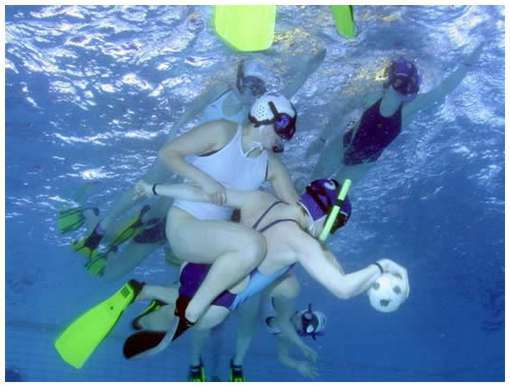 As the game is intense a player will only be active for a short while before he has to before he has to breathe and whilst it is allowed to take the ball to the surface this immediately turns the entire opposing team into an obstacle whereas only a few will obstruct you underwater. Use of 3 dimensions in combination with limited oxygen therefore turns this game into a complicated team sport where players have to keep all these things in – their oxygen-starved – mind. Like real rugby underwater rugby is a contact sport which – despite the slowing drag of water and mixed teams – can get quite rough. There aren’t too many rules and it is even allowed to sit in the goal bucket to prevent your enemy from scoring a point.